On the road or on the set, professionals can't get caught with a lack of power. That's why we created the optimal Inspire 2 spare battery case solution. We have packed 8 flights into this case with 2 chargers and hubs to keep you up and running. One of the toughest challenges with this Inspire 2 can be airline travel and baggage issues. 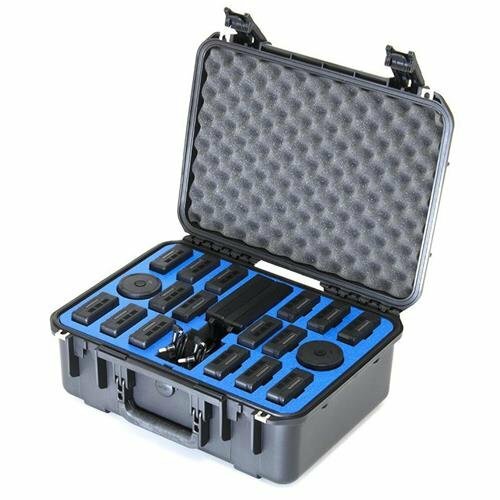 This case allows you to check your Inspire 2 and then carry-on the batteries in this perfect manageable size. If you have any questions about this product by GoProfessional Cases, contact us by completing and submitting the form below. If you are looking for a specif part number, please include it with your message.